Get ready to detox and relax after the holiday insanity with five great getaways. Treat yourself to a relaxing, meditative getaway to banish the winter blues. 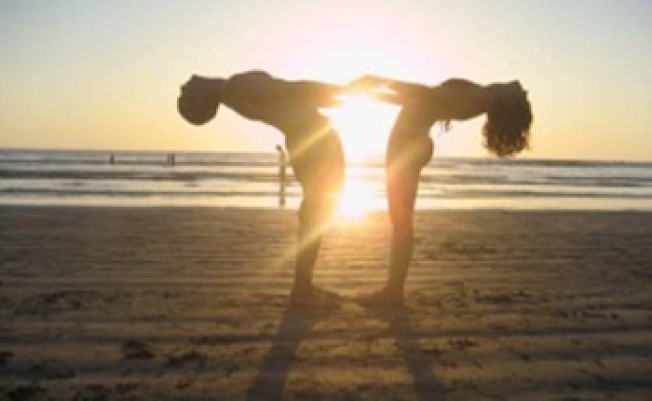 Valentine's Day weekend retreat in Costa Rica - Feb. 12-15 in Nosara on the Pacific coast. Pamper yourself with four nights and three full days of ocean-view yoga from the jungle canopy, one of the best surfing beaches in Costa Rica, special workshops, R&R time and much more. And a bargain to boot: $625. Surf Goddess Retreat - March 1-8 (and other dates beyond) in Bali. All women. Learn to surf, get pampered at the spa, take yoga classes. $2385-$3325. Eco Chic Yoga Week - March 5-12 in Grenada, Caribbean. Five-star beach venue, raw food, healthy food seminars and eco adventures including rainforest cacao tour and diving! Proceeds go to local children's charity. from $6560. Sacred Journey to Peru - March 13-25 in Macchu Piccu, Cuzco and more. This one's a highly transformational, hang out with shamans, hike up the mountain-type retreat. Yoga and gourmet raw foods. Spa-lovers can skip this one... more for adventure hounds and meditators. $4395 to $5395. Kripalu - Anytime. This yoga/meditation/creativity/healthy living haven in the Berkshires of Western Mass. hosts dozens of world-renowned teachers each week, along with basic weekend and week-long programs of their own.